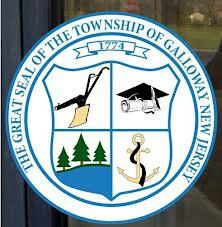 On January 9, 2013 Galloway Township released an advertisement for Special Counsel for Records Management. According to the advertisement, one of the Township's minimum requirements for this position is "Advanced working knowledge of OPRA, DARM and GRC." According to the Advertisement, all Sealed Responses were due to the Township Clerk by Wednesday, February 6, 2013 at 11:00 AM. GallowayTwpNews.com obtained through an Open Public Records Request a list of professionals who submitted a sealed bid in order to serve as that Special Counsel. The Township received only four bids. Township Solicitor Mike Fitzgerald who currently reviews the Township's OPRA Requests, did not submit a proposal. Fitzgerald as well as former Solicitor Michael Fitzgerald billed the Township an hourly rate of $100.00 for any work involving OPRA. All of the proposals submitted for the current Special Counsel came in above the current $100.00 hourly rate. Parker McCay and Dasti, Murphy, McGuckin, Ulaky, Cherkos & Conners submitted a proposal for $150.00 per hour plus expenses. Nehmad Perillo & Davis submitted a proposal for $135.00 an hour plus expenses. The lowest bid was Eric M. Bernstein & Associates LLC with $125.00 an hour, however they included a paralegal fee of $60.00 an hour plus expenses. The Township has seen an influx of OPRA Requests over the past couple years. Based on OPRA Logs released by the Township, the majority of OPRA Requests and documents released have appeared online and detailed in multiple stories. Council will now review the proposals and decide which firm if any they wish to hire for this service. Council is anticipated to vote on this potential hiring at their next regular Council Meeting on Tuesday, February 12, 2013 at 6:30 p.m.